Connect on your flight to Cairo arriving this evening. On arrival in Cairo, you will be met and transferred to your hotel located in the heart of Cairo. 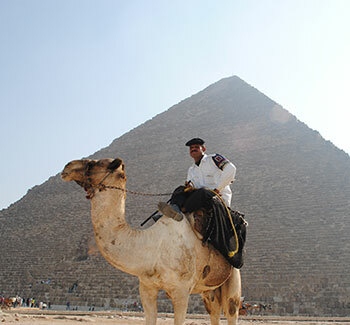 This morning you will be collected by your private Egyptologist for a full day tour of Cairo and its surrounds. 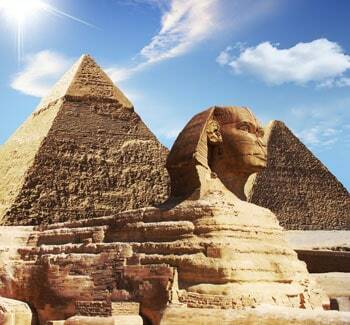 The tour will include visits to Memphis, Saqqara, the pyramids and the Sphinx. You will stop for lunch at a local restaurant before returning to your hotel. This morning you will again be collected by your private Egyptologist for a day or touring. 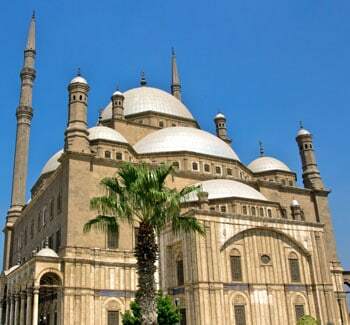 Today you will visit the Egyptian Museum, Citadel, Mohamed Ali Mosque & Khan el Khalili Bazaars. This morning you will be transferred to the Cairo airport where you will board your flight to Abu Simbel. 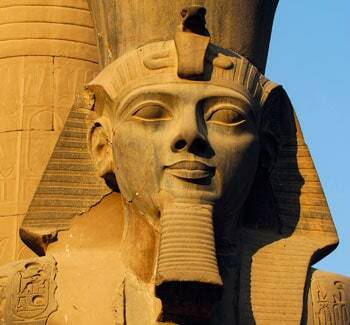 On arrival you will be met by your guide and taken on your tour of Abu Simbel Temples. After touring the temples you will be transferred back to the airport where you will board your short flight to Aswan. On arrival you will be met and transferred to your boat, the Mirage I, for your Nile cruise. 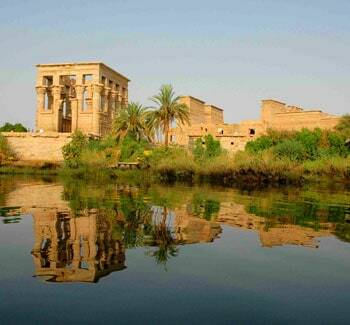 This afternoon you will visit the High Dam, Unfinished Obelisk and Philae Temple. You will have lunch and dinner on board. While you have breakfast on board you will sail to Kom Ombo. While in the agricultural town of Kom Ombo you will visit the Temple shared by two gods Sobek & Haeroris. You will then sail to Edfu. Breakfast on board this morning. You will continue to sail to Edfu where you will visit the Horus Temple. You will board the boat and sail onward to Luxor. This afternoon you will visit the West bank included Thebe (Valley of the Kings). You will also visit the Temple of Queen Hatshepsut at Deir al-Bahri. You will also visit the Colossi of Memnon. These two enthroned statues of Amenhotep III soar 60 feet into the sky. The statutes sit on a flat desert plain in the West Bank. You will return to your boat for dinner as you continue on to Luxor. Breakfast on board. 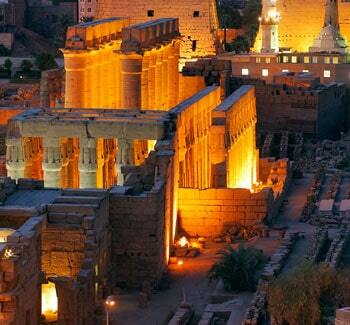 You will then visit the East Bank including the Karnak and Luxor Temples. After the pyramids of Giza, Karnak is Egypt’s most important Pharaonic site. You will be transferred to the Luxor airport where you will board your flight to Cairo and onward to Sharm el Sheikh. On arrival you will be transferred to your beach hotel. Two days at leisure. Optional excursions to St. Catherin’s Monastery or a visit to Bedouin village can be booked at an additional cost. Morning at leisure. This afternoon you will be transferred to the airport for your flight to Cairo where you will board your onward international flight home. You will have access to a hotel room near the Cairo airport. Depart early this morning on your flight to Amsterdam where you will connect onward to New York.